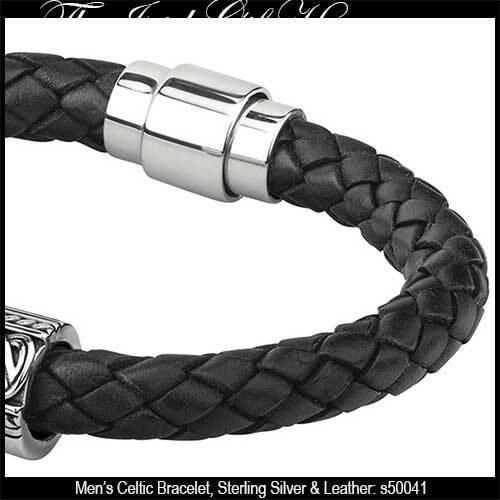 Celtic bracelet for men features oxidized sterling silver and leather construction. This Celtic bracelet for men has been hallmarked sterling silver by the Irish Assay Office at Dublin Castle. This Celtic bracelet for men is constructed of oxidized sterling silver knot-work along with a black leather snake chain with a magnetic clasp. The men's Celtic bracelet features center knot-work that measures 1/2" tall; the bracelet measures 8 1/2" long. 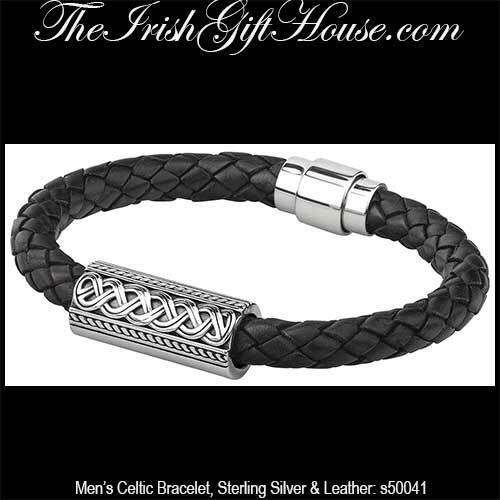 The men's bracelet is made by Solvar Jewelry in Dublin, Ireland and it is gift boxed with a Celtic knot history card, complements of The Irish Gift House. 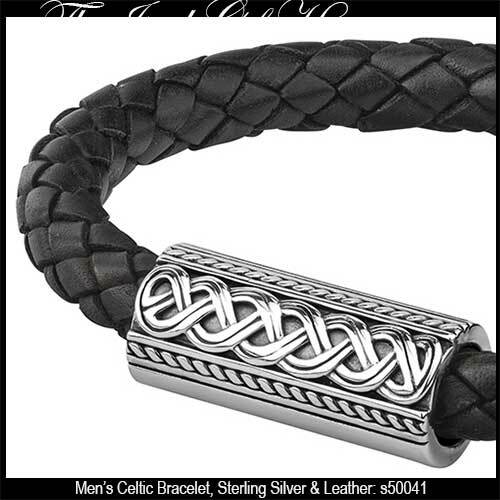 Men's Celtic bracelet with laser engraved knot-work is crafted from stainless steel and leather.